Alexislegend has released a live recording of Bowling For Soup’s recent performance in Cambridge, MA (which our own UTGjames attended). You can view the group’s entire set below. We suggest cracking up a cold six pack and relax with this clip because there are few bands as entertaining as the guys in BFS. Earlier this week, we brought you the very first installment of what we’re calling our “beta” podcasting stage with an interview between Editor James Shotwell and Silverstein vocalist Shane Told. Today we’re unveiling a second installment in this new series, this time featuring members of Bowling For Soup discussing their new album Fishin For Woos, current tour, and how life as an artist changes over time. Bowling For Soup track listing. Patent Pending have announced that they are heading out on tour soon with Bowling For Soup. Check out the tour dates after clicking on the link. The string of US tour dates for Bowling For Soup are available to view after the jump. Bowling For Soup need your help! 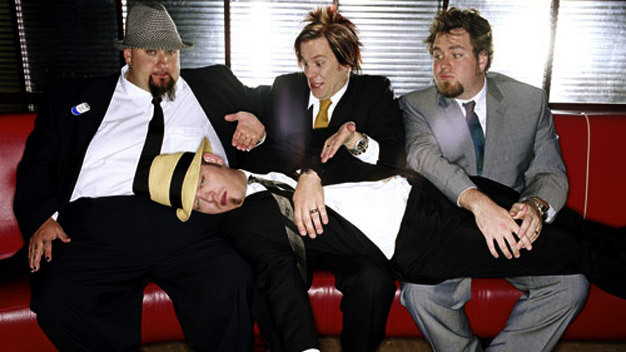 Bowling For Soup are asking fans to submit their own videos for their upcoming music video, “S-S-S-Saturday.” Click through for details! 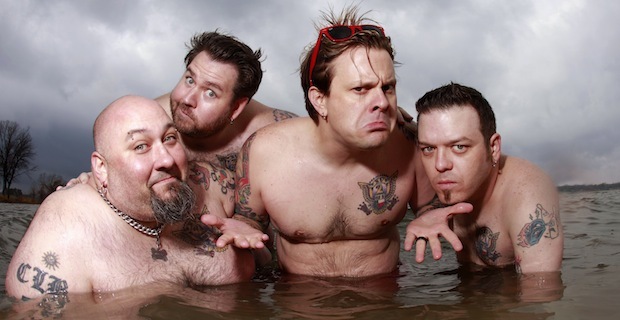 Bowling For Soup have announced the UK dates for their acoustic tour next April. Dates can be viewed after the jump. Look out for “Fishin’ For Woos” in October.